In terms of sheer beauty and architectural excellence, Prague is undoubtedly one of Europe’s most attractive capital cities. The history of the city is echoed within the walls of the numerous baroque and Renaissance buildings which characterise this splendid city. Prague is the Czech Republic’s capital and its international show piece. 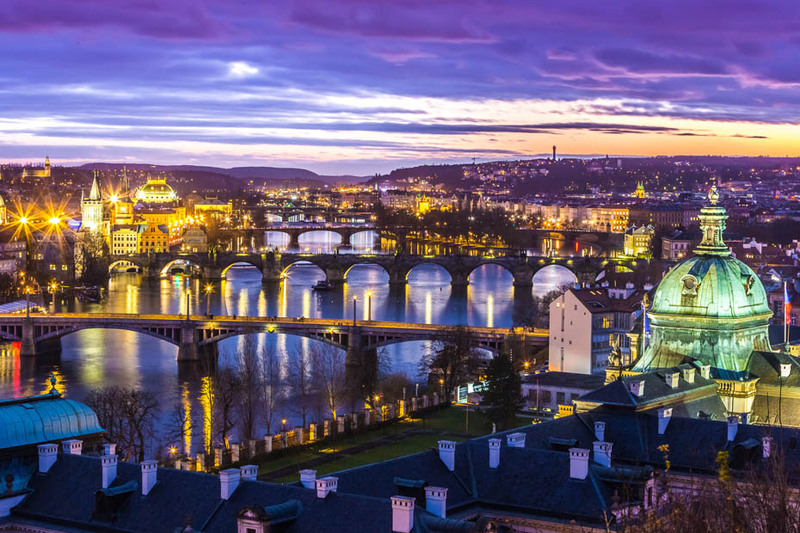 From magnificent Prague Castle to Wenceslas Square in the heart of the city, Prague rewards visitors with a diverse range of attractions, most situated within walking distance of each other. The Charles Bridge, flanked on either side by statues of monarchs and saints, serves as a timeless symbol of Prague’s medieval history, while the Jewish quarter, adjacent to the old town square, is a constant reminder of the Nazi occupation during World War Two. 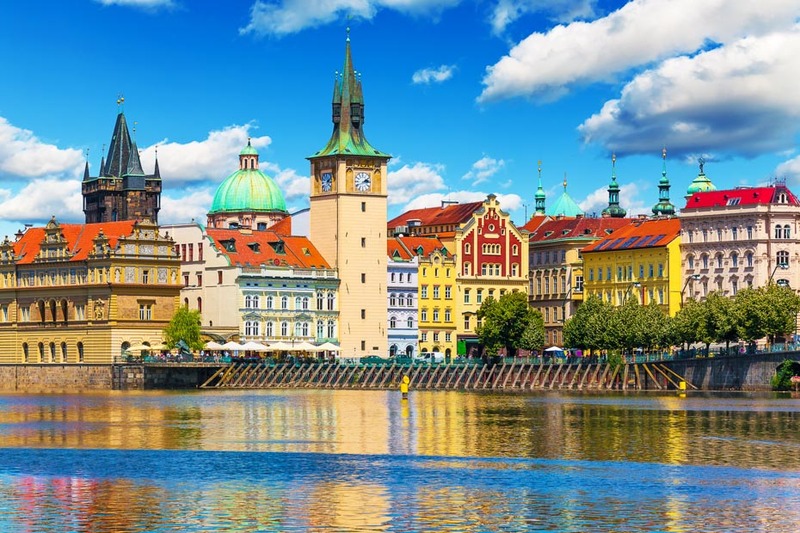 Having survived the centuries with its medieval architecture intact, Prague is one of the best-preserved capitals in Europe as well as being one of the most easily accessible of the great cities of Eastern Europe. Its historical legacy is only matched by its status as a European cultural centre. Although “discovered” by modern tourism a couple of decades ago, and already one of Europe’s favourite city breaks (particularly among the stag-do and hen-night brigades) Prague has the charm to still seem untired by the thousands of visitors who come here each day. And certainly the visitors show no sign of ever tiring of this historical but thoroughly modern thinking city.